This is the greener pasture we’re always looking for. Occupied, of course. This lake is located within the community that we live in. It actually doesn’t have a name, as far as I know. Out in the middle there is a small raft that turtles and the occasional alligator sun themselves. Turtle Lake seems like a good name. 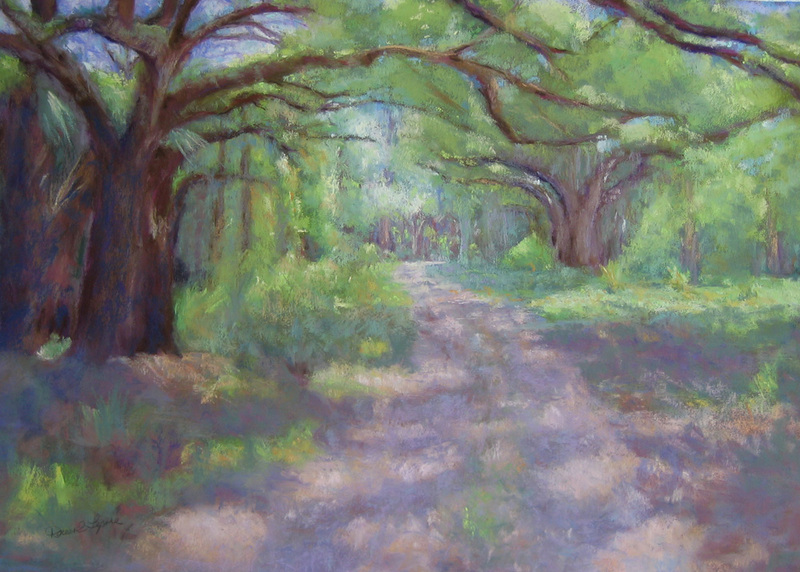 The pastel painting was started with a water color underpainting. Just using the maroon color in the land masses and a rosy pink in the sky and lake enables me to then quickly put in the middle values. You might notice that I didn’t use any green. Honestly, I just felt like not using green so this is probably considered a tonalist painting. 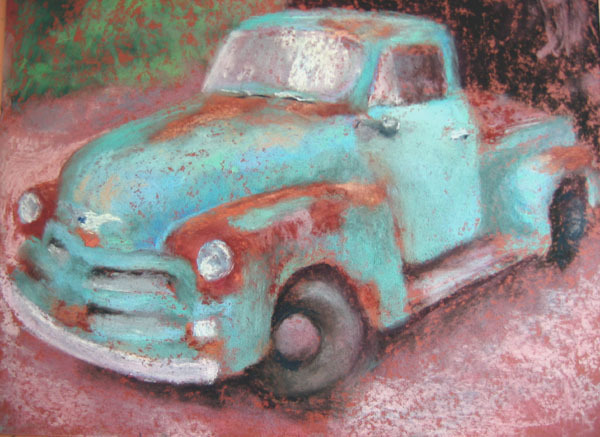 In honor of Father’s Day I thought I’d post this pastel of my father’s truck. Don’t be surprised if I post it again next year! It’s not a new painting, but a favorite. He never finished restoring the truck so that I could paint the “after” shot, but he did see and love this painting. This pastel is done on a maroon piece of acid free mat board that I sanded a bit to give it a little more tooth. When you sand mat board or paper (sometimes it helps to rough up Canson paper before using it too) you should use a very fine sanding block, not regular sand paper. The block is sturdier and won’t make unwanted bends, folds or marks on the paper. Just a gentle once over is enough. 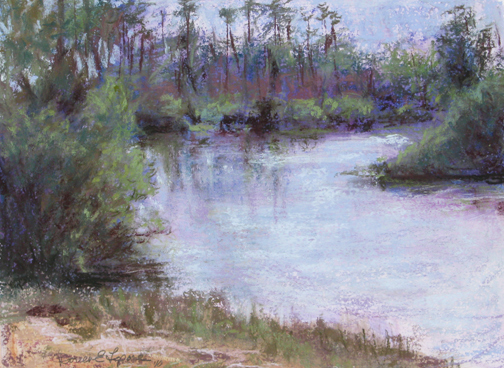 There was an interesting article in the June issue of “Pastel Journal” titled “History Reclaimed” about John Pierce Barnes (1893-1954), an impressionist artist, who was discovered recently. 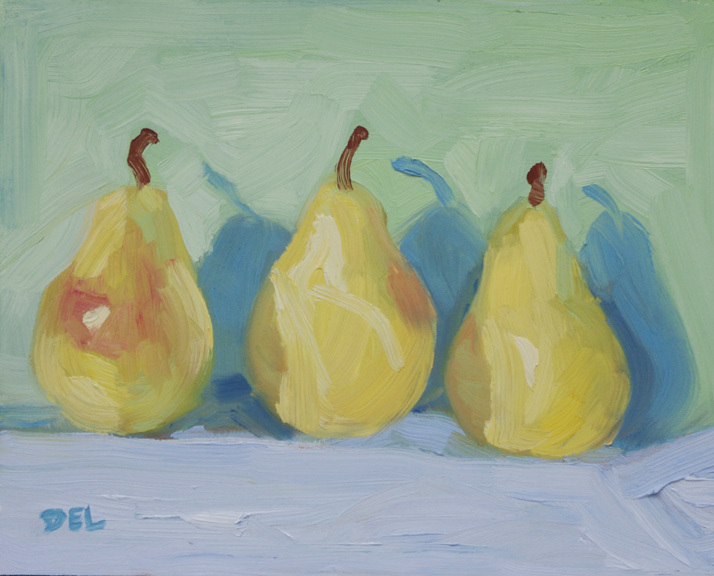 The pastel paintings that they show on the Pastel Journal website are stunning. In order to avoid any problems I haven’t included any pictures of his paintings here. You can read the story in the following link, about how the curator of his paintings, Katherine Stanko, learned that the paintings existed and had been in storage since the artists death or maybe longer. What inspires me the most is how wonderful his color choices were and his bold strokes. Many pastelists blend the heck out of their work and it thrills me to see unblended work from the 1920’s. 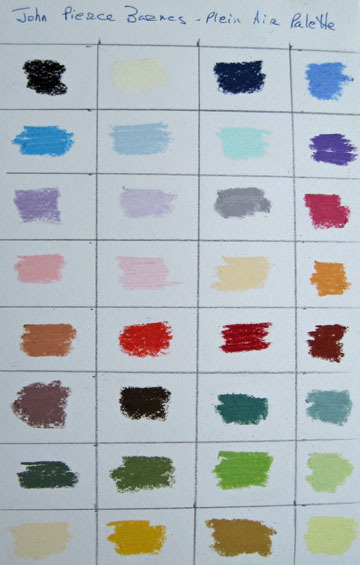 It is also pretty easy to put together his very simple plein air palette from his work, which, of course, I had to do. It seems to be very limited, which is great for going out on location. Possibly, he had a small landscape set – I don’t know what was available in the ’20’s. 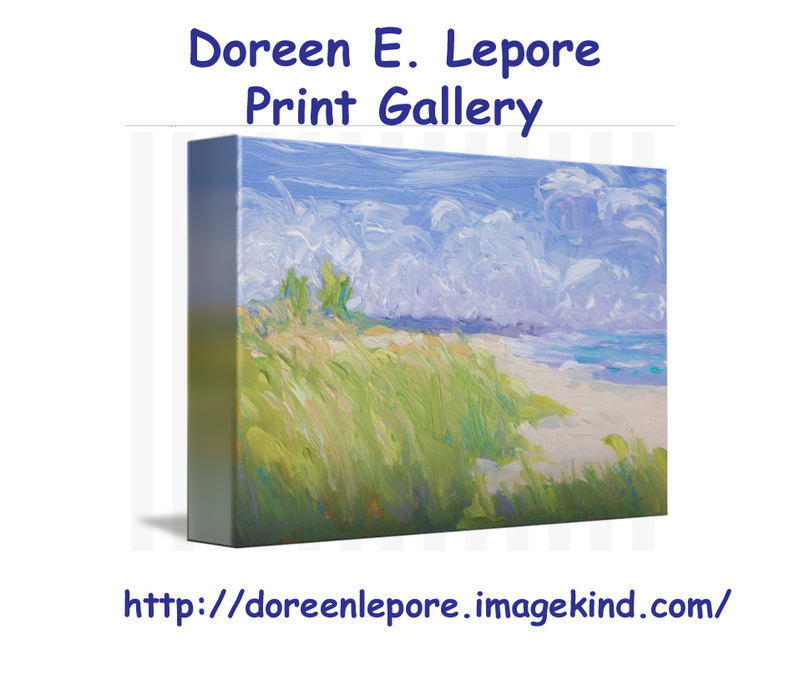 I managed to fit all the colors into a small 5″x4″ box – it doesn’t get better than that! Since I don’t keep the names of my colors, and now realize I have way too many colors, yet, not enough of these colors, I’ve made a color chart of what his palette probably was. 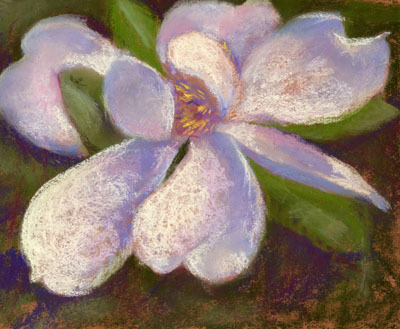 The magnolias are blooming like crazy this year – or more than they have in the past – I tend to exaggerate. We have two trees in the yard. One in the front and one in the back. They are the big trees with the big flowers. They smell great! Some magnolia trees in the neighborhood are dwarf trees with the big flower, which is nice because the flowers are lower. With the big tree it’s hard to even get a good photograph of the blooms because they are so high. However, once in awhile, if you can catch it at the right moment (the flowers peak on one day and then they’re done!) blooming on a lower branch you’ll be able to at least have a photograph to work from. 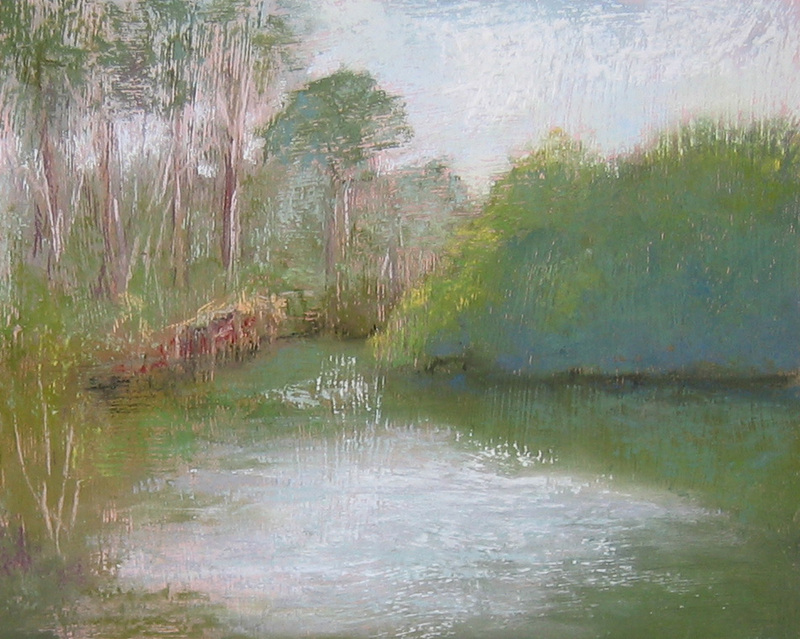 Here is one of my favorite painting spots at Jonathan Dickinson State Park on the bank of the Loxahatchee River. In the past I’ve seen very large gators here and often there are kayakers going by too. Not together. 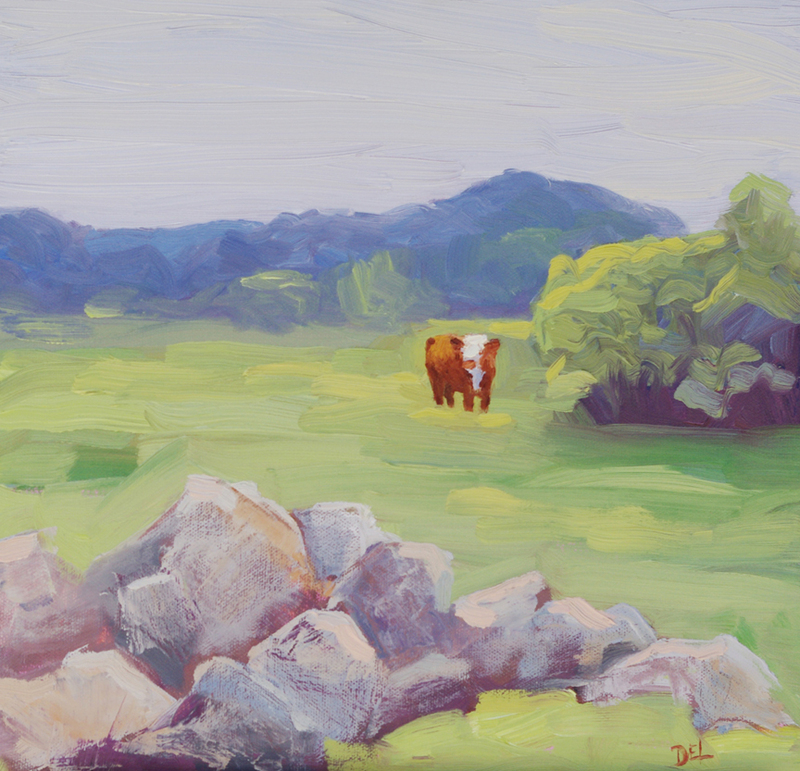 This first plein air is done on an 8×10 panel that I made with a gritty coating to give the surface texture. 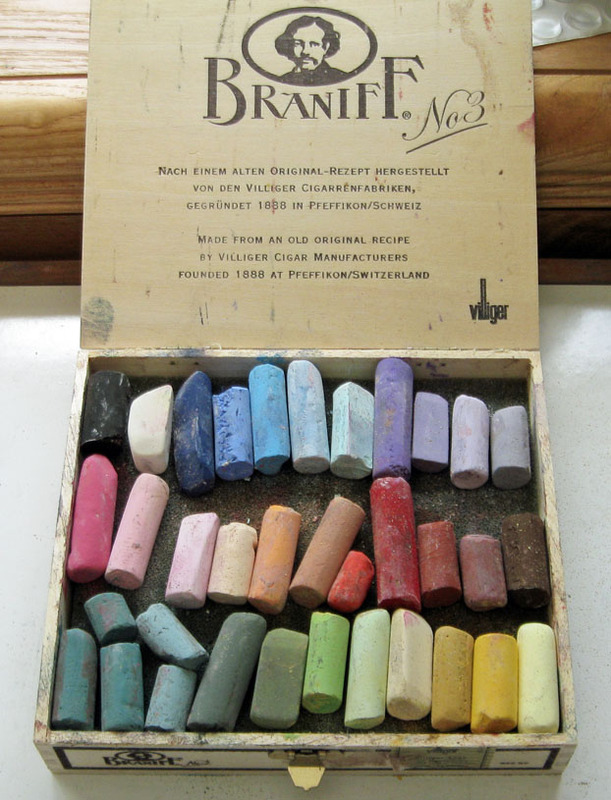 It’s done in pastels, pure brilliant pigment – in stick form – better than crayons! 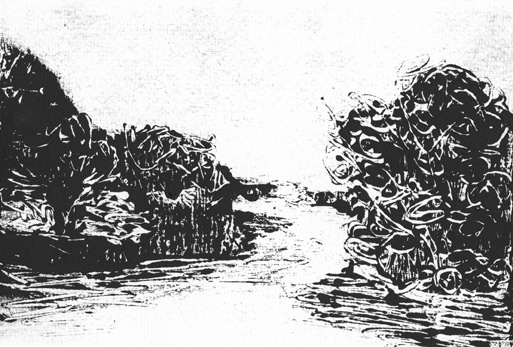 Next on the Loxahatchee, same place different day and time, was also a textured panel – much bigger and was done as a class demonstration. The class wanted to also see how to underpaint so I used some rubbing alcohol over the pastels, which solidified the background. 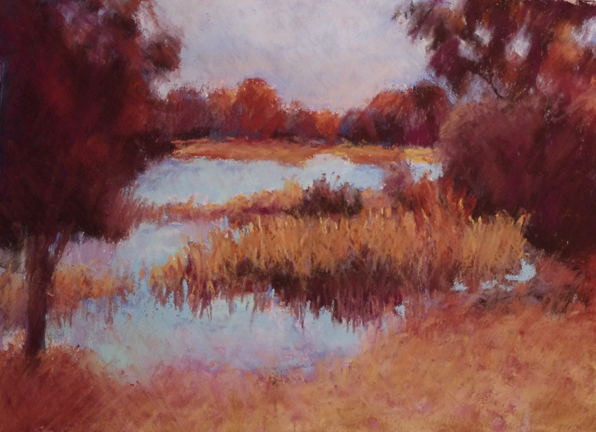 Then I waited a bit for the painting to dry and finished the pastel on top. Wait, I’m not done – there’s one more for now – this one is same place – of course a different day and time and different paper! Viewpoint is slightly farther down on the river bank. 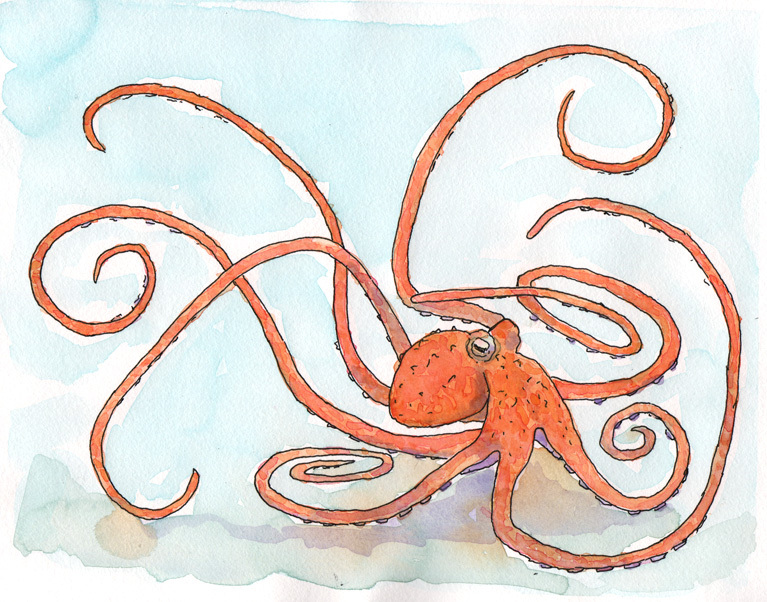 This one is my favorite – it too has an underpainting – this time with watercolor. 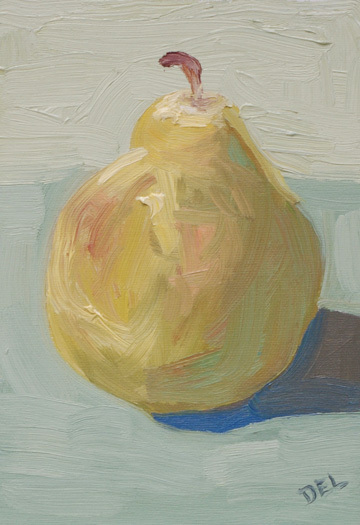 The watercolor underpainting is a great tool. You can get some great darks in without getting too messy and build some beautiful shadow areas. Also the pink undertone in the sky and water adds luminosity and air. Looking at all these together like this makes me want to go there again. 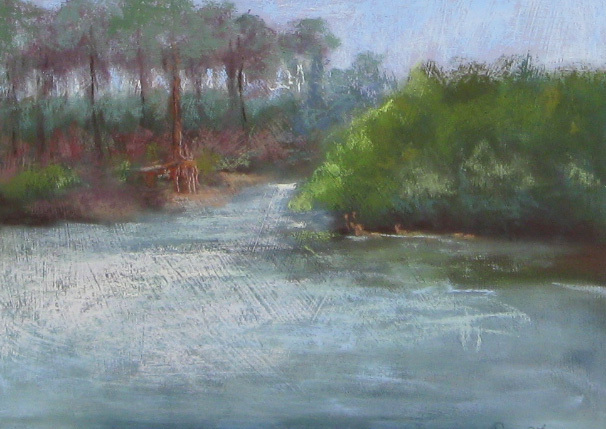 I can’t promise that these are all the paintings that I have done or will do of the Loxahatchee River.